VICTORIA, AUSTRALIA--(Marketwired - Sep 25, 2013) - The XXII Olympic Winter Games are scheduled to take place on the 7th to 23rd of February, 2014 in Sochi, Russia. This will be the first Winter Olympics and the first Olympics altogether for the Russian Federation since the 1980 Summer Olympics which were held in Moscow, then the capital of Soviet Union. The athletic Oscars of an event will feature 98 medal events over 15 winter sports including cross-country skiing, figure skating, ice hockey, snowboarding, and freestyle skiing among others. The four freestyle skiing events, men's and women's aerials and moguls, are to be held in the resort town of Krasnaya Polyana. In moguls, the challenge is to race down a slope covered with large bumps as fast as possible while earning points for technique and two aerial jumps. In aerials, the two jumps are judged by air, form and landing. Turin, Italy hosted the second to the last Olympic Winter Games which marked the second time Italy hosted the Winter Olympics. The event featured 84 medal events over 15 sports including four freestyle skiing events -- men's and women's aerials and moguls. Men's moguls were held at the venue in Sauze d'Oulx on a crisp Wednesday, February 15th with the 2pm qualification event with 35 athletes competing and the finals event at 5:30pm, which featured the top 20 qualifiers. Many promising skiers entered the qualification event including Canadian Alexandre Bilodeau, Finland's Sami Mustonen, and Americans Toby Dawson and Jeremy Bloom. Also among the qualifying athletes were the Australian brothers Jason and Dale Begg-Smith. One of the brothers, Dale, ranked first in the qualification round which earned him a spot among the 20 finalists competing for the Olympic medal. The top qualifier went on to win gold in the finals, followed by Mikko Ronkainen's silver, and Toby Dawson's bronze. Dale Begg-Smith had a successful World Cup career leading into the Olympics with 10 podium finishes and 4 World Cup gold medals. Following his World Cup successes, Begg-Smith entered the 2006 Torino Winter Olympics, alongside his older brother Jason Begg-Smith. 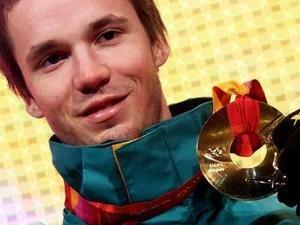 He made history as he won the Olympic gold medal by becoming the youngest man to ever win Olympic gold in the sport. Dale also won Austalia's third gold for winter Olympics, behind Steven Bradbury and Alisa Camplin's 2002 wins at Salt Lake City. In 2006, the Australia Post noted his gold medal put him in a "small and honored group of athletes" and issued a postage stamp commemorating Begg-Smith's achievement. Jason Begg-Smith retired following the Olympics, but Dale went on to compete in the following World Cup season. Canadian born Dale Begg-Smith grew up in Vancouver, British Columbia and began skiing at a very early age. Throughout his early career, Dale trained tirelessly alongside his older brother, Jason Begg-Smith, and they competed for Canada in various mogul skiing events. After moving to Australia in 2001, the brothers did not compete for three years while awaiting their Australian citizenship. In 2005 Dale was awarded Ski and Snowboard Australia's Snow Sports Athlete of the Year. Dale set the record for the only freestyle athlete to medal at all four major events entered, due to his Olympic and world championship podiums. He also became Australia's most successful winter athlete and one of only five Australians to win a gold medal in the Winter Games alongside Olympians Steven Bradbury, Alisa Camplin, Torah Bright, and Lydia Lassila.